These days, we all think we need an app. Restaurants want apps for online ordering, credit unions want apps for ATM maps, retail stores want apps that send coupons in real time, and then some of us just want an app. Personally, I am in a constant battle with my phone as I try to pack more and more photos, videos, and APPS into its little storage bin and onto my constantly-upgrading cloud backup account. Sometimes, I just wish a brand or business would ditch the app and make all the awesome features available on a mobile site. If I’m in a hurry, I’m more likely to check out a company’s mobile site than take the time to download an app. And let’s be honest, I am quick to delete an app from my phone if I don’t think it’s pulling its weight. And people are loviiiiing iiiit (I said that in a Tim Gunn voice.). In May 2013, Android announced its 48 billionth download, and Apple celebrated its 50 billionth. Apps are a big deal. For some companies, mobile apps are a necessary component of a media strategy (Entrepreneur). They can help engage customers via push notifications and custom coupons, and they can help streamline customer support. An app might also improve eCommerce or allow brands to incorporate gaming into their marketing campaigns. But for small business – and even some big ones – the rush to get an app can be more about staying hip than sound business strategy. Oftentimes, developing a mobile version of a website will be far more economical, quicker and easier to implement, and more user-friendly than a full-blown mobile app. In terms of search engine optimization, it is simpler to have one URL that works across all devices (a responsive site), rather than multiple sites and apps for different devices. Google can crawl and index that site more efficiently (Search Engine Watch), and your business will only have to manage one URL and SEO campaign. 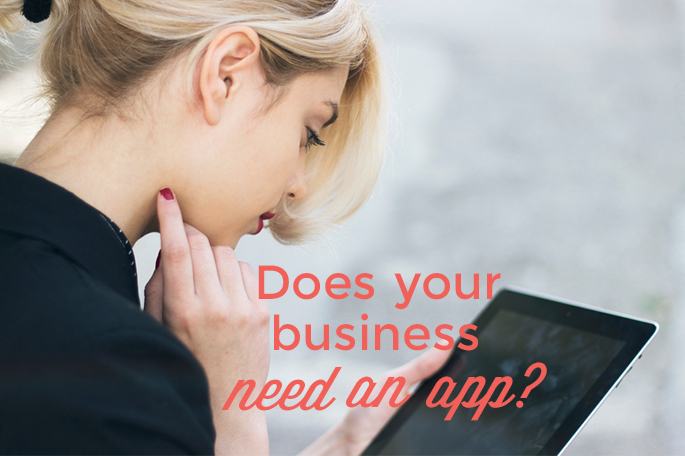 So, does your business – or your client’s business – really needs an app for that? Ask yourself these four questions before you spend the time and money to build yourself an app. 1. What will the mobile app do that the responsive mobile site couldn’t? Before building a brand new app, ask yourself what new functionality an app can bring to your business. 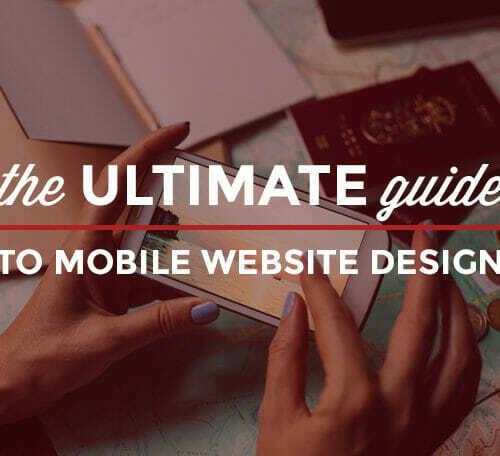 What will it bring in that a mobile version of your site absolutely cannot do? Does the app need access to the smartphone GPS system, for example, or maybe to the camera or touch screen? If you or your client can’t answer that question with ease, you may want to reconsidering building an app for that. 2. How much profit can you make from this app? Sometimes an app might be a really cool idea for your company, and it might bring in new features that a mobile site can’t. 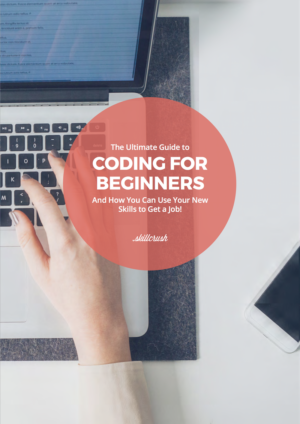 But before you dive in, consider how much of your budget will go into building this app, and how much you can reasonably afford to get out. Especially if you’re working on a startup budget, ask yourself if an app with a high price tag (and a big drain on your time and energy) is worth it. 3. Is the app immediately necessary? 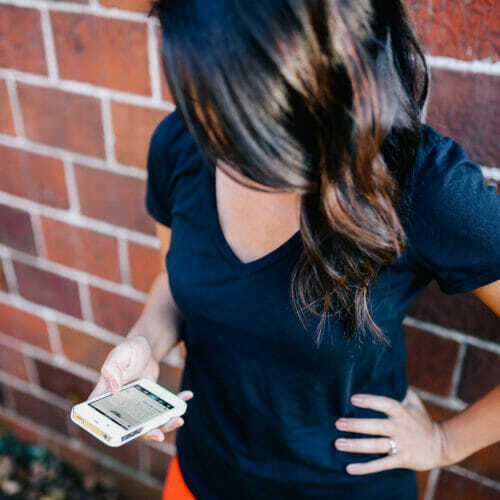 Okay, maybe your app will be able to do some awesome ninja moves your mobile site only dreams of, and maybe you are ready to rake in the big bucks on this thing. But will a mobile site do for now? I’m not saying to be shoddy or to cut corners on your business plan, but sometimes an app sounds awesome, but your business isn’t quite ready for it. Consider waiting until your numbers match your ambitions when it comes to your app dreams. 4. How likely is your target demographic to use an app? Know your goals, and know your data. There’s no catch all answer when it comes to choosing to app or not to app, but understanding your needs and your customers’ behavior can help you make an informed decision before you add another special snowflake to the blizzard that is the App Store. So what’s the verdict? Do you need an app for that? What else do you consider when it comes to deciding between building an app and sticking with mobile? Tell us about your business and your mobile strategy in the comments! Prev: Get your kids into tech the fun way this back-to-school season Next: Do You Want to Get People Talking About You? In Real Life?